Earlier this year I had the opportunity to visit Vienna for a couple of days. In terms of its place on the global stage, Vienna, Austria is a shadow of its former self. 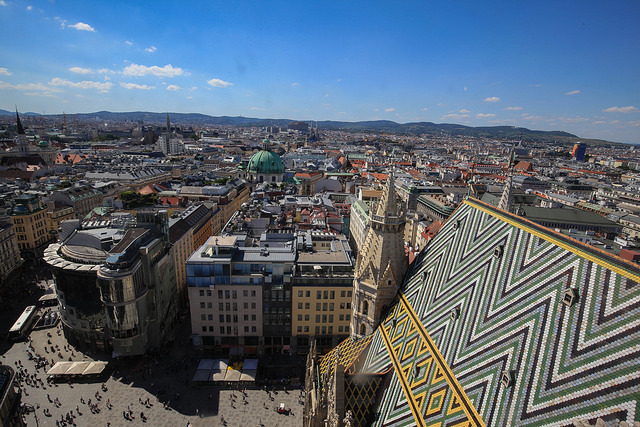 Vienna, Austria was once the seat of the Habsburg Empire, that controlled a large portion of Europe. Evidence of their opulence can be seen everywhere in the Baroque architecture. 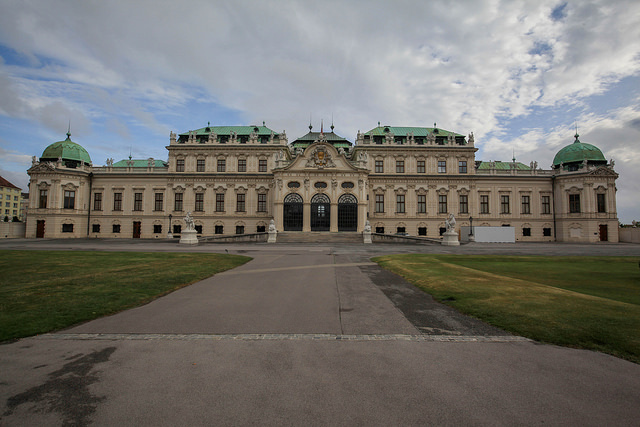 1: Belvedere Palace was the summer home of Prince Eugene of Savoy in the early 18th century, who was a celebrated military commander. 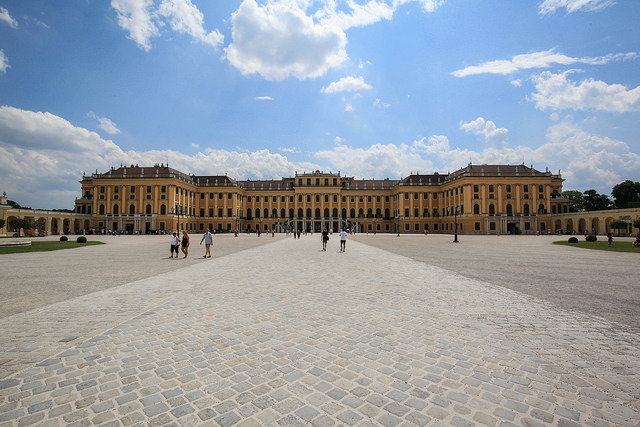 2: Schonbrunn Palace is the 18th century home of Empress Maria Theresa and was the summer home of the Habsburgs. Franz Josesph I was their longest reigning monarch and oversaw the beginning of World War I. 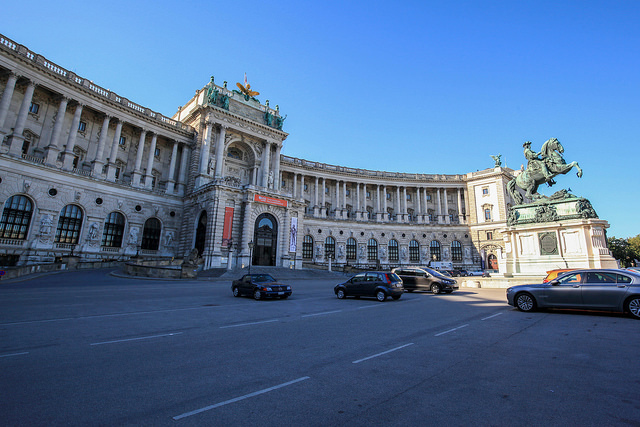 3: Hofburg Palace was first built in the 13th century and was subject to many additions and renovations. It was the winter residence of the Habsburg dynasty and has since become residence to the president of the Austrian republic. 4: St. Stephen’s Cathedral was initially constructed in the 12th century and saw numerous additions up until the 15th century. 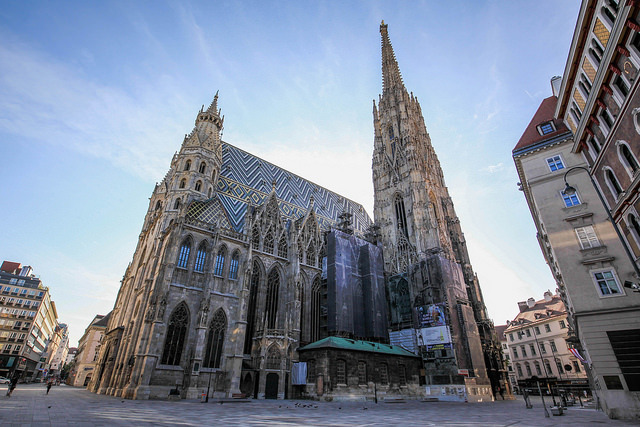 It is the seat of the Catholic Archbishop of Vienna. It is experiencing heavy rehabilitation at the moment. It is also home to catacombs and the Tomb of Frederick III. 5: At St. Stephen’ you can climb several steps to the top of the south tower, where great views of the city await you. 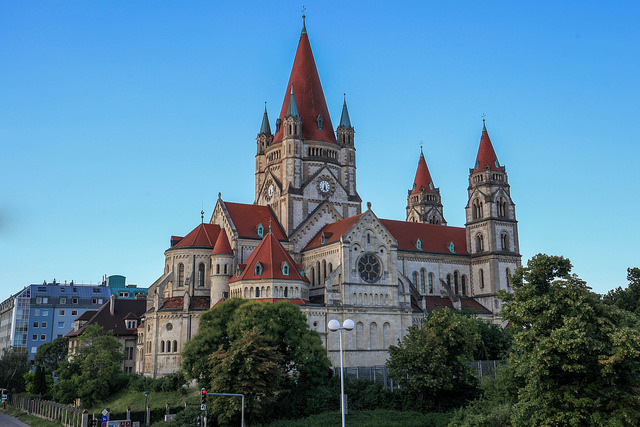 6: Finished in 1910, the St. Francis of Assisi Church was built to celebrate the 50th anniversary of the reign of Franz Joseph I. It occupies Mexico Square (Mexikoplatz), named for Mexico’s protest of the Annexation of Austria by Nazi Germany. 7: No discussion of Vienna would be complete without mentioning music. 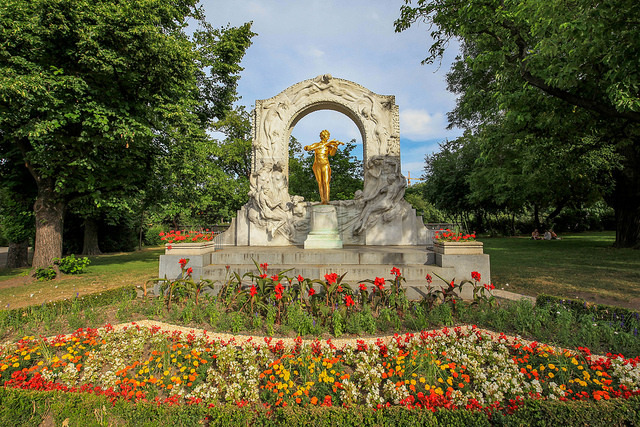 Memorials to Strauss (pictured), Mozart, Schubert, and many others commemorate famous Viennese composers and musicians. 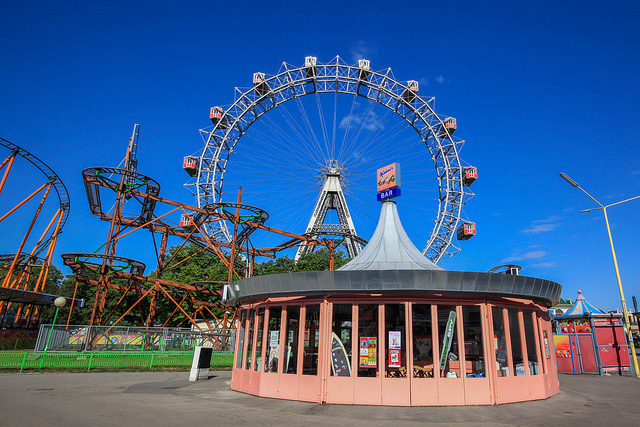 8: Prater is a public amusement park that contains the Wiener Riesenrad, a ferris wheel dating back to 1897. It was formerly a royal hunting ground, but was declared a public park by Emperor Joseph II. The 1873 World’s Fair was held here. 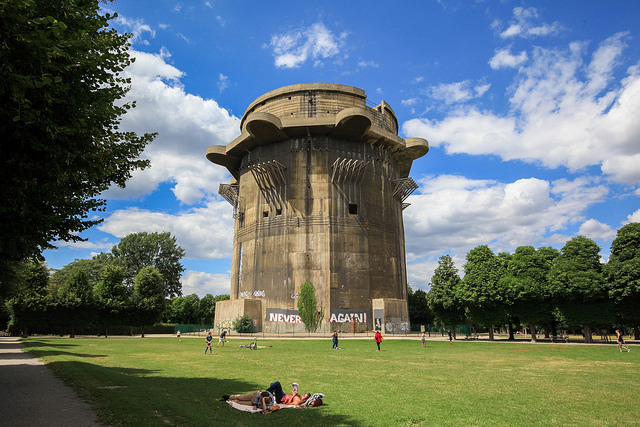 9: A stark reminder of World War 2, flak towers built by the Nazis dot the city. The one pictured looms over a city park. Another one was converted to an indoor aquarium. 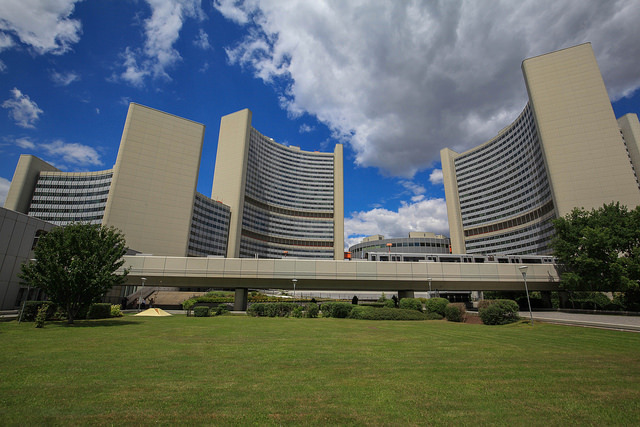 10: The United Nations has one of their 4 major headquarters in Vienna.